In this week’s episode of Warrior of the Week, TickPick is proud to highlight Engineman 3rd Class David Phelps. David was enlisted in the United States Navy from 1970-75, during the Vietnam War. 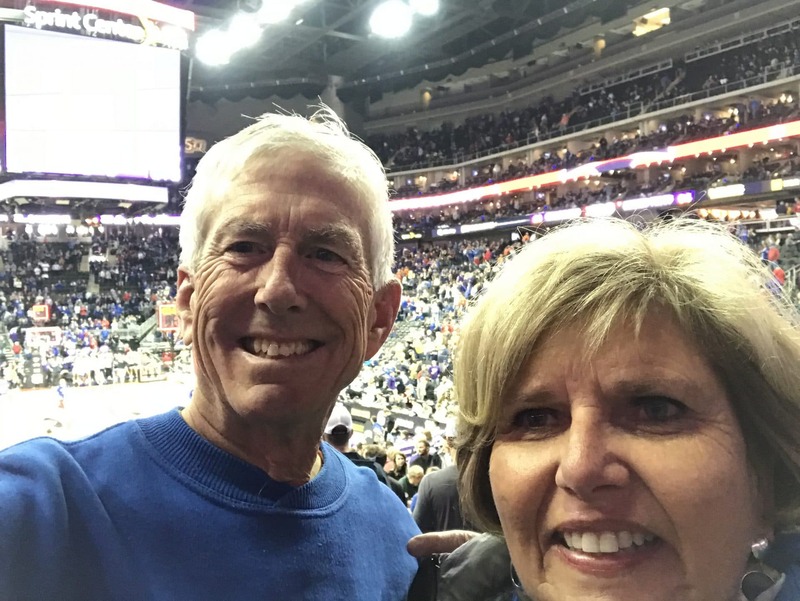 As a lifelong Kansas Jayhawks fan, he chose to attend the Big 12 Championship Quarterfinal matchup of KU vs. Oklahoma State. Did you have any favorite sports teams? If so, who was your favorite player? I grew up in Lawrence, Kansas, so being a Jayhawks basketball fan was a rite of passage. My love for the team was cemented when I first saw Wilt “The Stilt” Chamberlain in person. Even though I was only a kid, I knew Wilt was not normal. He dwarfed everyone. I was mesmerized to the point where I had to see this guy play. I distinctly remember watching him play in the 1957 national championship game against North Carolina. This was on a tiny black-and-white TV, mind you. The game went to three overtimes, and although KU lost, I was instantly hooked. Although you may think my favorite player is Wilt, he’s not. It’s actually Paul Pierce. Pierce not only elevated the team, he also represented the school and himself well in the NBA. He was smooth and made the game look effortless. David’s view of Kansas vs. Oklahoma St. courtesy of TickPick. Which branch of the military did you choose? If so, why? I served in the U.S. Navy during the Vietnam War. I was an Engineman 3rd Class on an LST ship, stationed in Yokosuka, Japan. Honestly, there was no support for the war by the time I joined the military in 1970. I had a low draft number and knew it wasn’t going to be long until I was drafted into the army. I did not want to be in the infantry, and I especially did not want to die in the jungles of Vietnam. So, after I received my draft notice to join the army, I went to Navy recruitment and signed up. What have you been up to since the military? Once I was discharged in 1975, I went back to engineering school at KU. The military not only provided me this opportunity through the GI Bill, it also gave me the necessary motivation to be a good student. Fortunately, the military set me up for a good career path. I eventually settled in Lawrence, where I worked for Westar Energy for over 35 years. I married my wife Karen in 1983, and we started our family shortly after. I’ve recently retired and am enjoying the relaxed life. What do you enjoy most since being active in the military? I’ve had a great and active life since being in the military. I’ve hiked the entire Appalachian Trail, walked across England, biked across states, and traveled around the world. My family brings me the most joy though. I have a wonderful wife, three great kids, one beautiful granddaughter, and one doofus dog. I am incredibly fortunate and consider myself as lucky as you can get. Life is good.